Working Together We Can Do Much! 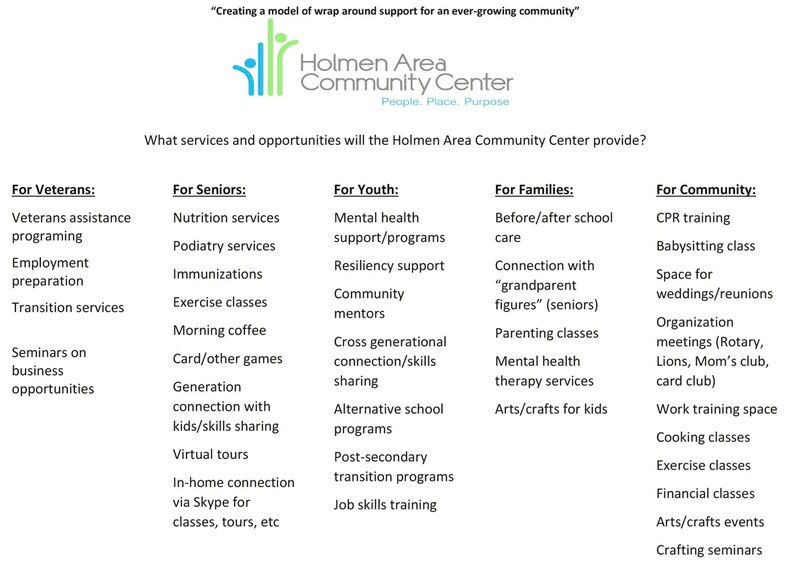 A multi-purpose, inter-generational Community Center is planned for the Holmen Area. The volunteer group working on this project spent several years gathering information and exploring building sites and design alternatives. Area stakeholders have given input and have been kept informed through media coverage, presentations to civic and churchgroups, and dialogue with municipal leaders. Gatherings & Meetings: Multi-purpose rooms (with flexible dividers to expand or reduce space) can accommodate area groups, lectures, poetry readings, teen center programs and other cultural events. The large area can accommodate civic gatherings, small wedding receptions and other social events. Recreation & Fitness (Phase 2): A full-size gymnasium with a walking track is planned for community use, such as athletic leagues for adults and adolescents, teen center activities, exercise, yoga and dance classes, etc. 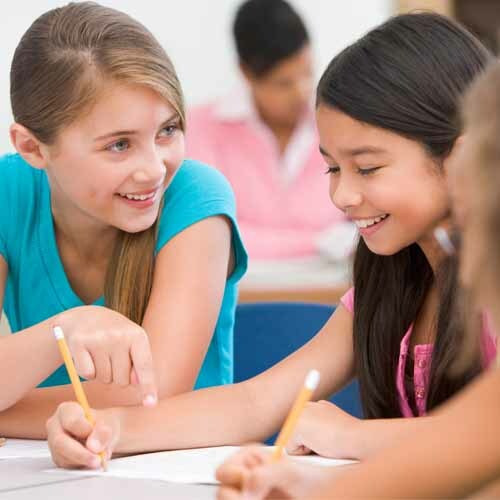 music, technology, arts/crafts, exercise, leadership, career development, nutrition and communication skills will be the foundation for these activities. The five-acre Community Center which will be located on McHugh Road, highly visible, in close proximity to both Holmen Middle School and Holmen High School and is easily accessible for all citizens. Parking is planned for 105 vehicles and a drop-off/pick-up area will provide safe access for all patrons. Considerable adjacent land is available for acquisition and future facilities expansion. The building design and permits were completed in late summer of 2018 and ground breaking will be when all funding have been secured.